Monday May 7th started out like any other Monday. We’d had a really fun and productive weekend – finished up a ton of yard work and gardening, assembled new balcony furniture, built a small fence out back, and cheered at several little league games. 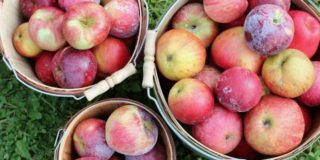 But Monday showed up again as it always does – a scramble of packing lunches, making breakfasts, trying to convince little boys to get dressed, and get everyone out the door by 7:45am. I took Graham to school and headed into work for a few hours. 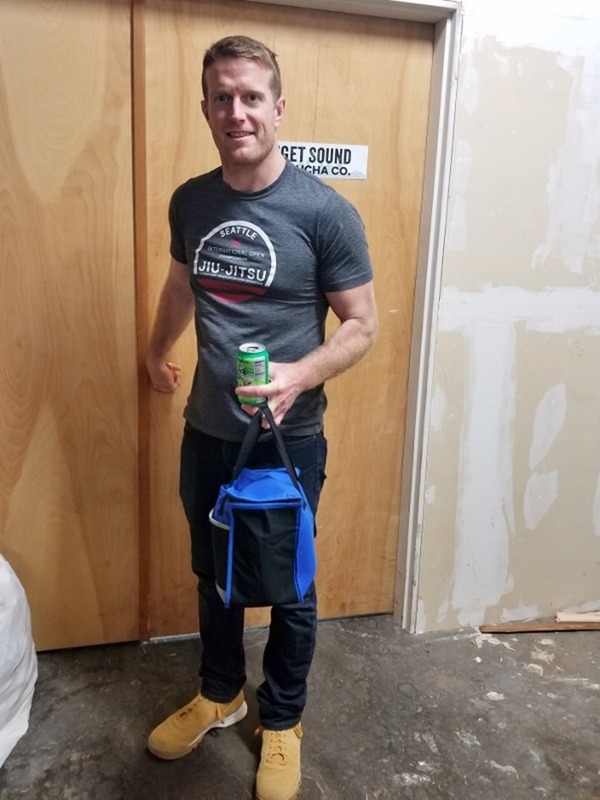 I was trying to wrap up as much of my work as possible so I could turn the brewery over to our staff, and leave them in good hands. 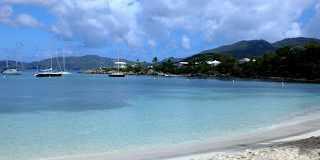 Every day that I was still there felt like a few more hours to get organized and prepared. 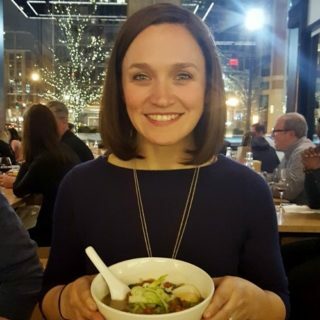 Casey was working from home that day and asked me if I wanted to go out for lunch – trying to take advantage of whatever time we could get before baby arrived! We met up at one of our favorite lunch spots, and I told him that I was feeling super nauseous. I spent the good majority of this last pregnancy feeling mildly nauseous the entire time, but this was worse than normal. 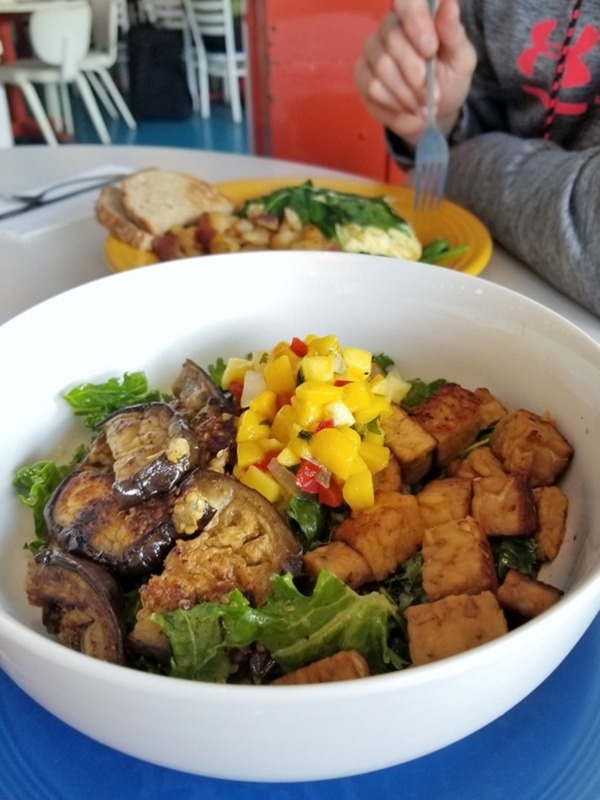 I ordered a “superfood” bowl of kale and veggies and immediately regretted it. I ate about four bites and felt like I was going to vomit the entire time. It sure looked good though! We left lunch and Casey headed home to keep working, while I headed over to Graham’s school to pick him up. Despite his protesting, I told him we were going to swing through Trader Joe’s to grab a few things before we went home. We made a quick grocery run and grabbed the TJ essentials – popsicles, cheese, a giant s’mores chocolate bar, and some fruit. We pulled up at home and as I got out and carried my groceries in, I chatted with my neighbor (who was on high alert for watching the boys when I went into labor!) and told her I was headed out to another prenatal checkup soon. I walked into the kitchen and set my groceries down, and as I stood up I suddenly felt like I was peeing my pants. I bolted into the bathroom and collected myself as my heart started to pound. I calmly said into the other room, “hey Case – can you come in here when you get a second?” It took a few minutes for him to come in, and each step I took around the kitchen I could feel more and more liquid gushing out. Casey came in and as I bustled around the kitchen quickly trying to get my groceries into the fridge I said, “I don’t want to be alarmist, but I’m pretty sure my water just broke.” And in that moment, everything changed pretty much immediately! I told Casey I was fine and feeling no signs of labor. Meanwhile I continued to run into the bathroom every two minutes to deal with what was happening. 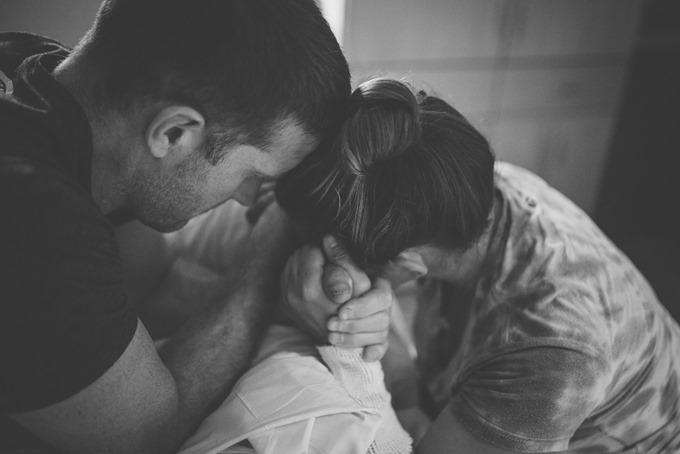 Graham was running around the kitchen shouting things like, “what broke?” and “is the baby coming in the toilet?” It was hilarious and scary and despite being 39 weeks pregnant – felt very sudden and unexpected. My water never broke with the boys so this was totally new territory. This all happened right around 2:15pm, and I was just supposed to be stopping home quickly because I had a 2:40 doctor’s appointment I was going to head right back out to. So despite not being in the throws of labor, we had to really rush to get out the door now that I knew that appointment was going to be quite different than planned. Casey immediately went upstairs and tossed our remaining items into our half-packed hospital bag. I started doing dishes (why?) and grabbing things I’d want in the hospital (like that giant s’mores chocolate bar!). And not even five minutes after casually chatting with my neighbor outside, Casey was knocking on her door and dropping Graham off. We jumped in the car and on the way I went into action mode. 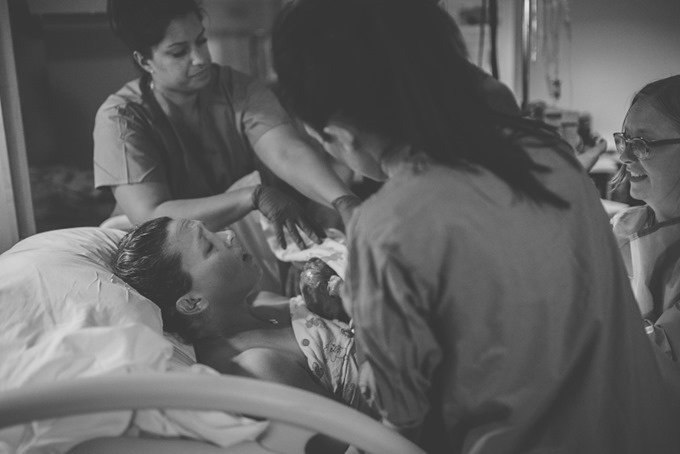 For so long I’d worried about the logistics of going into labor – who would take the boys, where would be all be at any given time, etc. I expected to be figuring all of that out while I was in labor (like it was with Graham! ), so this was a strange but welcomed turn of events. On the car ride to the hospital, I texted a kindergarten friend and asked her to take Cullen home from school with her. I also texted my dear friend Lacey and told her it looked like we’d be having a baby soon, and could she spend the night at my house with the boys. Everyone was excited and on board, and it felt like a huge relief to have all those details sorted out so quickly and easily. We got to the hospital for my appointment and I let them know that I was pretty sure my water had broken. 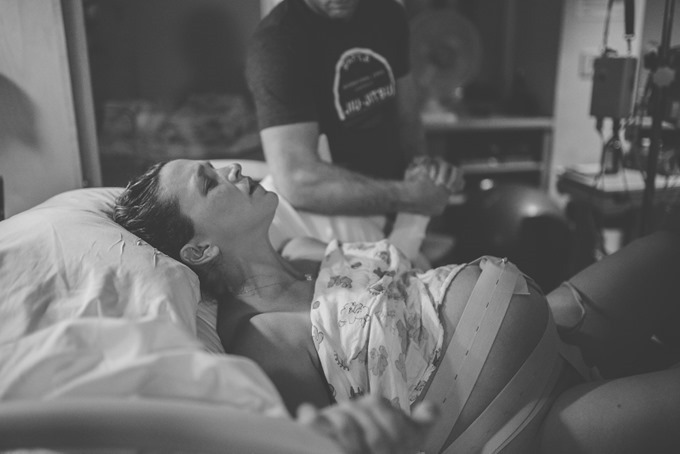 The midwife I was seeing – Emily – did a few tests and checks and came back and confirmed what we already suspected. It was baby time! I was sent up to labor and delivery to do a non-stress test and make a plan from there. It was 3pm and I had zero contractions or signs of labor. A fun detail – they put us in the same room where Cullen was born (and Maeve ended up being born in too)! It felt so very familiar. We hung out for about 45 minutes while the baby and I were monitored. We finally texted our families and friends to let them know what was happening – didn’t want to cause any false alarms before then! They didn’t do any cervical checks because there is an increased risk of infection once the water breaks, so it was weird to have no idea what sort of progress I had made (or not made). In other news, the hospital has the best. ice. ever. I must have had 100 cups during our stay! 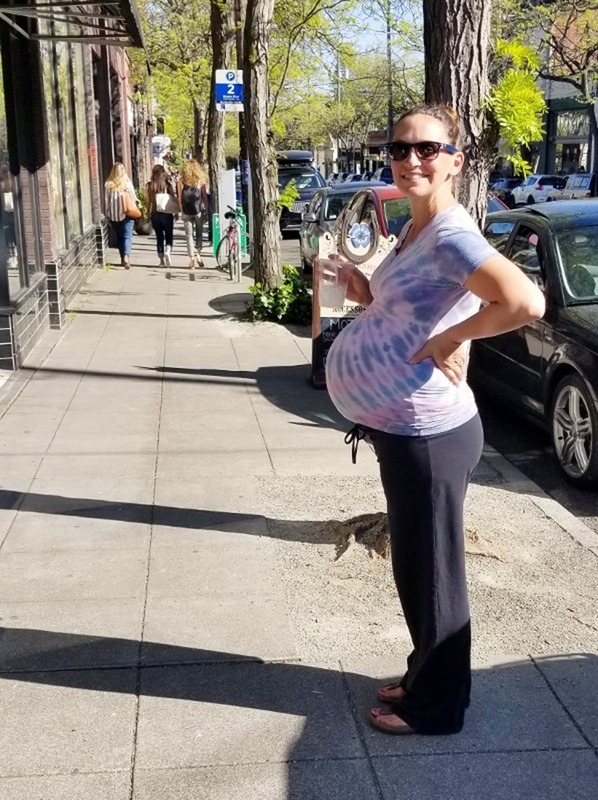 After getting the okay from our docs that baby and I were both doing fine, we decided to go walk around the neighborhood for a bit to see if it would get labor going. We were given the option to go home for a bit if we wanted to, but it was about 3:30pm and there is a really busy bridge between our house and the hospital. 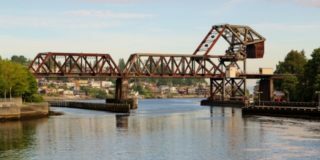 One of my biggest fears was being caught on that bridge while in labor! There was no way I was crossing back over, and the kids were all settled at friends’ houses, so we decided to just walk around Ballard and enjoy the sunshine. My water was still leaking despite not actually having contractions, so I had to put on the giant mesh underwear and postpartum pads to go on our walk. I felt totally ridiculous but it also felt really nice to get out for some fresh air and sunshine. It was a GORGEOUS day in Seattle – 70’s and sunny – and such a treat to be out and about on an unplanned walk with Casey. Final bump shot! We walked and walked and walked. We stopped for donuts and iced tea, since I hadn’t touched a bite of my lunch earlier. We popped into local boutiques and stores, and strolled around in circles, having been warned to not stray too far from the hospital in case things picked up quickly (I wish!). We talked about what we might want at the hospital and if there was anything we should grab while we were out. Funny enough, the only thing I really wanted was a kombucha! Our brewery is about three blocks from the hospital, so we walked down there and grabbed a six pack to take back with us. Our employees probably thought we were insane! We got back to the hospital right around 6pm, and at that point I still had no contractions or anything painful or labor-like going on. 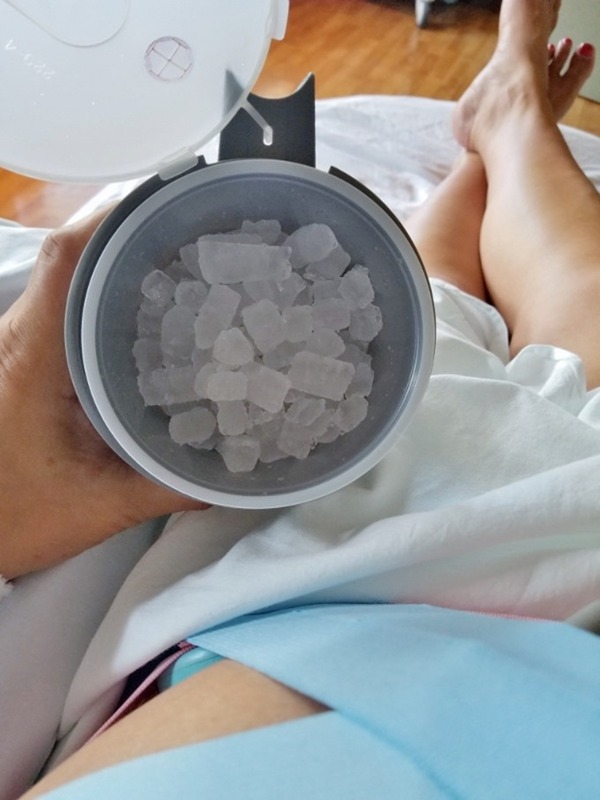 We talked about waiting a few more hours to see what happened, but I also knew that the clock was ticking since my water had broken, and was reminded that the risk of infection rises with every hour after that. 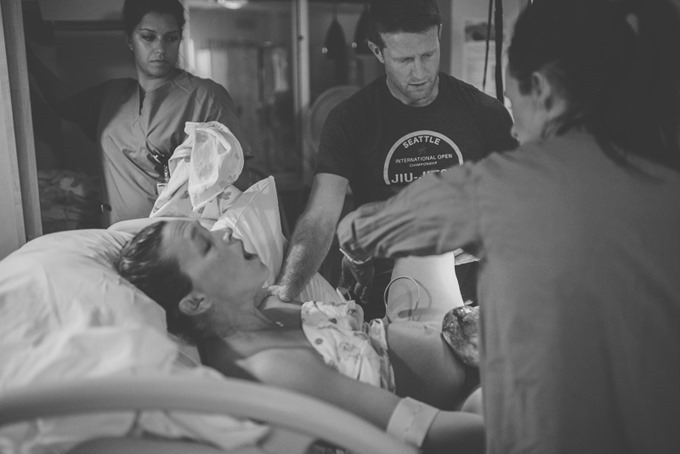 My only real option at that point was to start pitocin to induce labor – certainly not the way I thought this would all happen! Around 6:45pm they started an IV and a low dose of Pitocin. I also had them check me since we were admitted at this point, and I was bummed to find out I was dilated a whopping 2 centimeters. Casey ordered dinner and we settled in for the night. He was really nervous to leave and go pick up the food, but I still felt fine at that point and was happily texting with friends and family. I’d say it took about 45 minutes for the Pitocin to kick in, and I started to feel slightly painful cramping contractions. I sat on a ball and bounced and took focused breaths when they came, but felt totally fine in between them at that point. Casey came back with a pizza right around the time that things started to ramp up a bit. 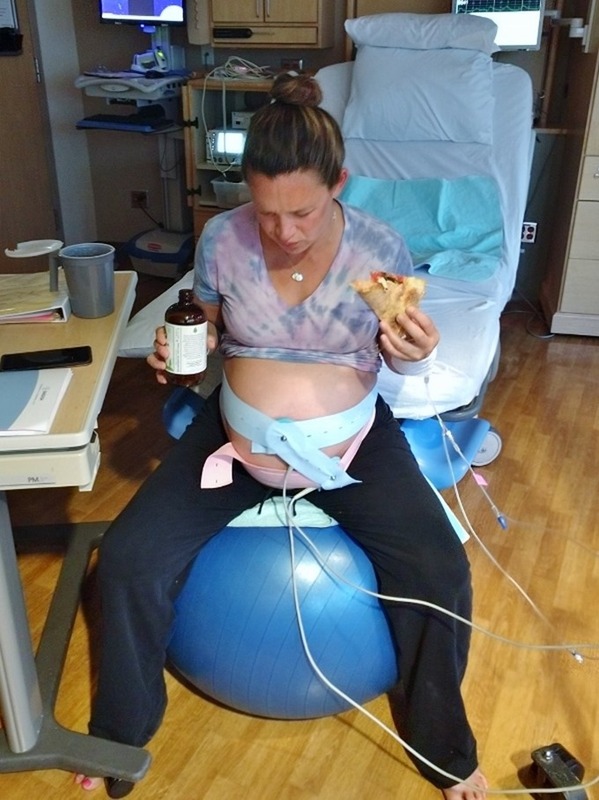 I drank my kombucha and he fed me pizza in between contractions, but they were starting to get more painful. 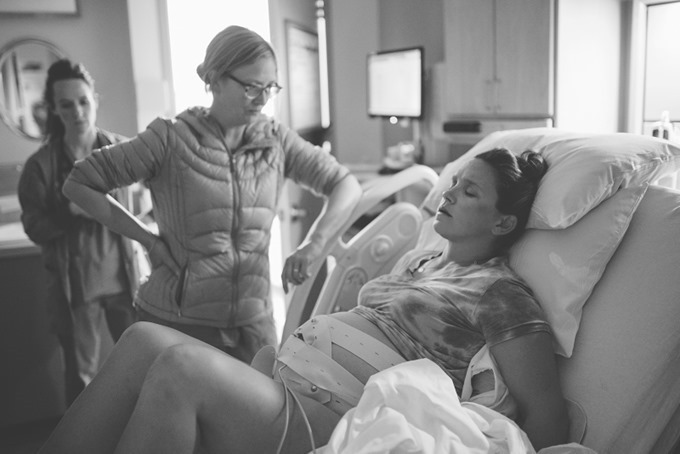 It’s worth adding here that I had experienced childbirth already two very different ways – horribly long and painful with an epidural and Pitocin with Cullen, and alarmingly short and unmedicated with Graham (and both overdue). And yet here I found myself in new territory again – water breaking early and induced! 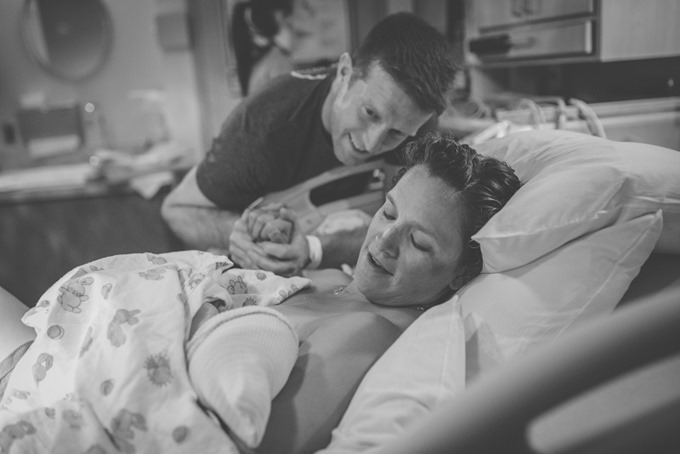 In the weeks leading up to my due date, Casey and I had talked a bit about our hopes for this third (and last) birth experience. I told him that I really wanted to have another unmedicated birth for a number of reasons. Most importantly, my recovery after Graham was SO much better, and I credit a lot of that to the lack of intervention and medication I had versus how tough recovery was after having Cullen. But also, I KNEW I could do it – I had done it before! And while I also knew it was horrible and painful, it was also really beautiful and exhilarating once it was all over. I told him that I knew I’d beg for an epidural at some point and that he should try to talk me out of it. He said that was silly and that we should just get the baby out and not worry about the details. I fully expected this third birth experience to be like Graham’s – fast and furious. So to show up to the hospital barely dilated and not even in real labor was really mentally and emotionally challenging for me. 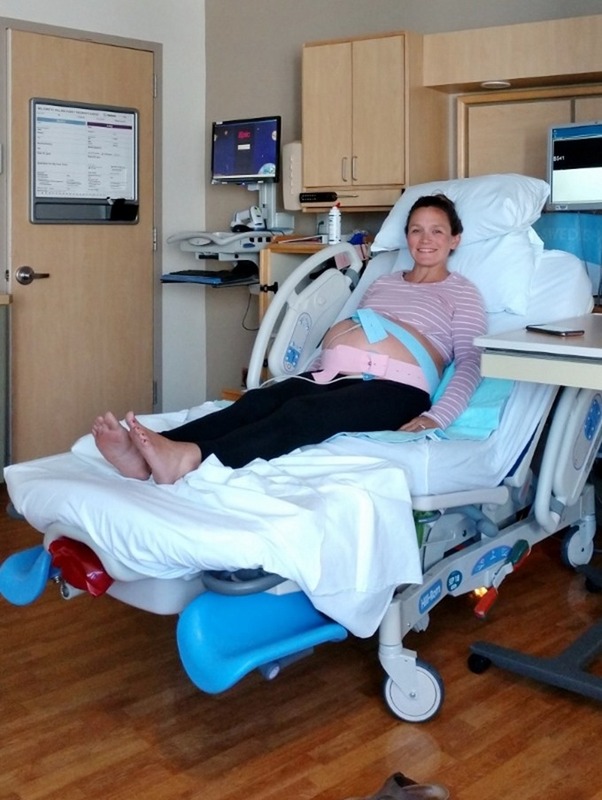 I kept asking for numbers and progress, and the nurses kept assuring me that third time moms typically dilate very quickly despite a slow start. I wasn’t buying it. By 8pm my contractions were really starting to hurt. I couldn’t eat any more and I stopped talking through them and texting updates. I had gotten confirmation from both of our friends that had the boys for the afternoon that they were now back home and ready for bed. And I had a video from Lacey of the boys telling me they loved me and couldn’t want to meet their baby sister. It made me ugly cry and I watched it no less than twenty times. 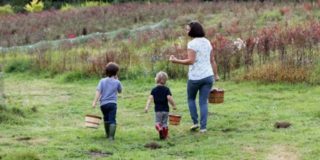 It was right around then that my labor really kicked in, and I truly believe my body waited until my mind was finally at ease – I knew my kids were safe and cared for, and it was time for me to focus on myself. 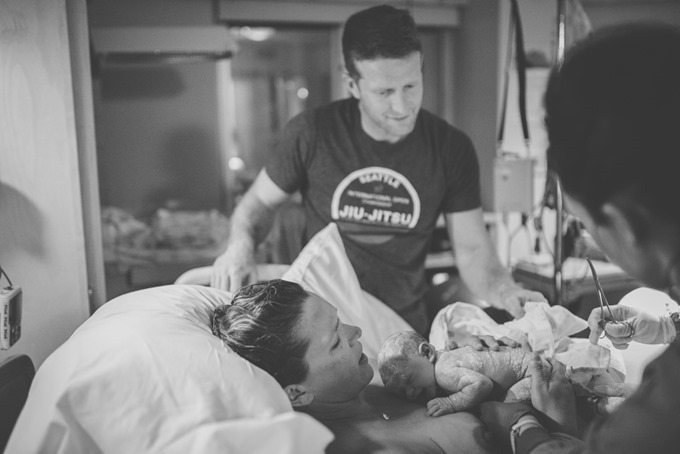 Casey sent one last update to our families at 8:36pm, and at that point it was game on – I was really hurting and I needed his help. It was also right around this time that my friend Kelsey arrived! 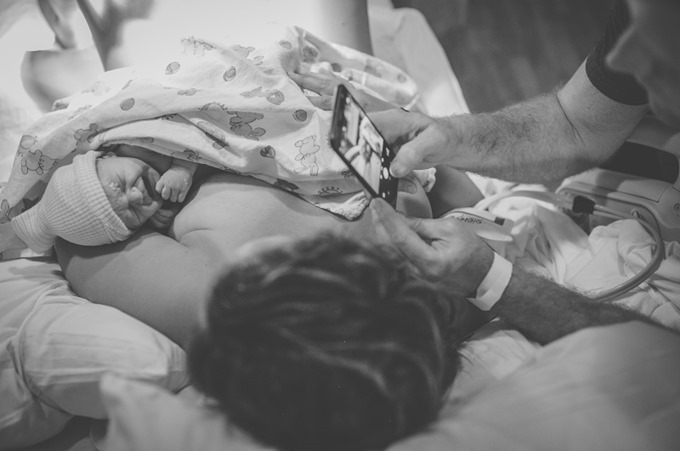 She’s a really talented photographer, and offered to take birth photos to capture this special experience for us. While I’m generally a very private person and wasn’t sure how I’d feel about another person in the room, I decided to go for it since I knew this was the last chance. 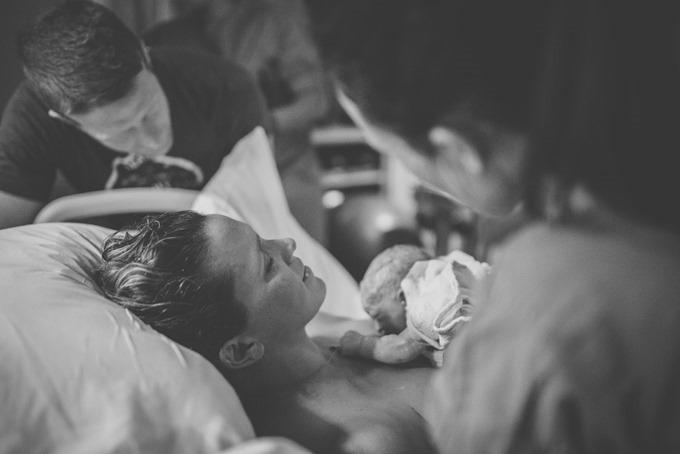 The rest of the photos were taken by Kelsey, and I am so forever grateful to have them as a way to reflect on and remember this incredible birth. 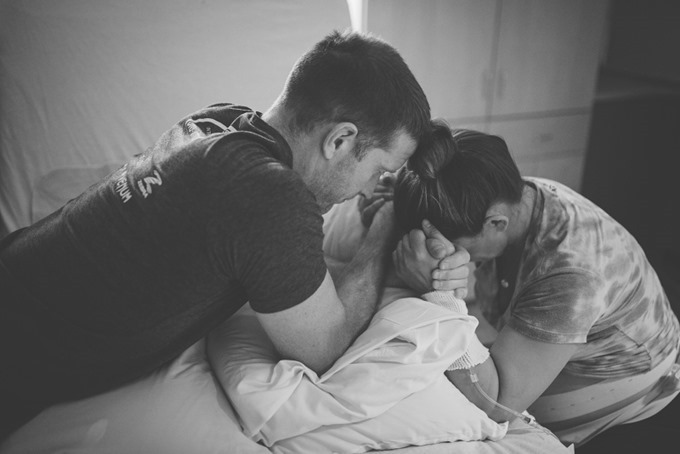 I was in such a huge amount of pain, and while I wanted to clench inward and run from it, the experience of having Graham had taught me to push into the pain and to force my body to do different things. 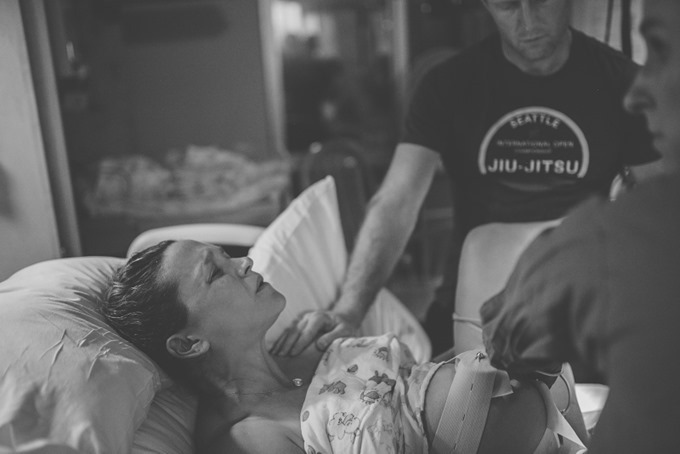 So while moving and trying different positions was the last thing on earth I wanted to do, I made myself listen to the nurses and midwives and move around the room to try to convince my body to open up. Obviously I was really struggling myself, but I can’t even imagine how taxing it must have been for Casey. 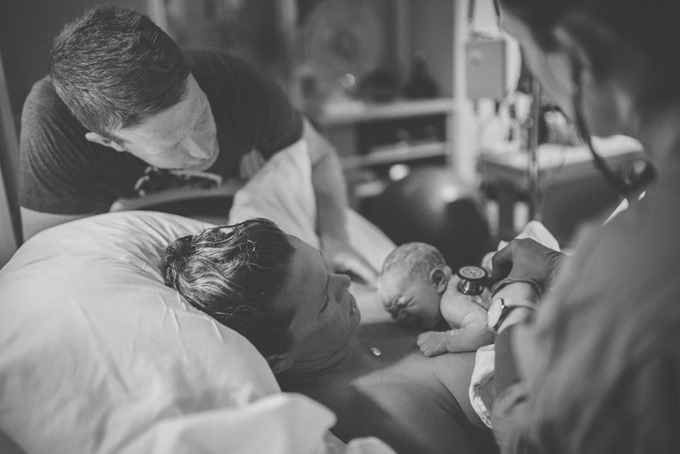 With every contraction I’d squeeze his hands as hard as I could, while pulling down on his arms with all my strength (and at this point we weighed almost the same amount). It was so exhausting, but it was the only way I could get through each one. 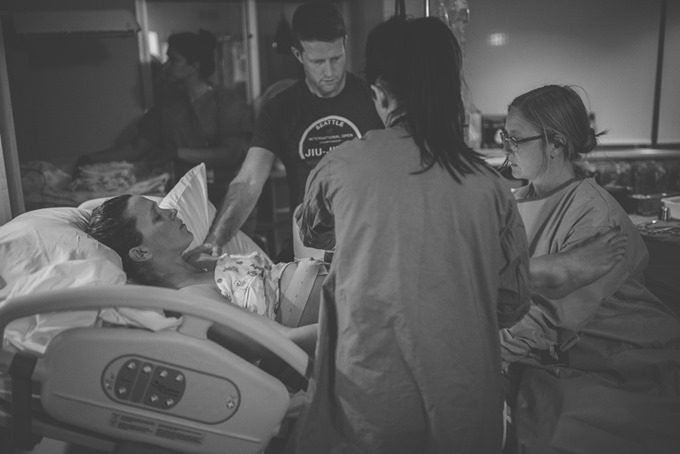 I’d been through this before, but the intensity of the contractions on Pitocin was a pain I was not prepared for – I asked Maggie, the midwife, to check me again. I’m pretty sure after this check she told me I was 3-4cm dilated, and I am certain there were a lot of expletives at that point. I’m not sure why I was so focused on those numbers – it just felt like I still had SO far to go, and I was so wiped out both physically and mentally. At this point someone suggested trying a warm shower, and while again – moving around and getting there sounded awful – I knew I had nothing to lose by trying something new. It was tricky because the shower is small and I had all the fetal monitors wrapped around my belly, as well as the rolling IV unit with the Pitocin hookup, and a million tubes and cords coming off of me. At this point it was really a battle with myself. One of the only things that got me through at this point was mentally replaying the video of the boys that Lacey had sent. I saw their faces and heard their little voices, and I told myself I just had to get to the other side of this so I could see them and celebrate together as a family. The shower itself felt AMAZING, and I never ever wanted to get out. But my contractions were unbearably painful. Each one left me breathless and absolutely dreading the next. I’d spend the brief break in between in an almost catatonic state – leaning against the wall almost asleep with exhaustion. And when I was awake and coming down from one, I was begging and pleading for anything to make it end. 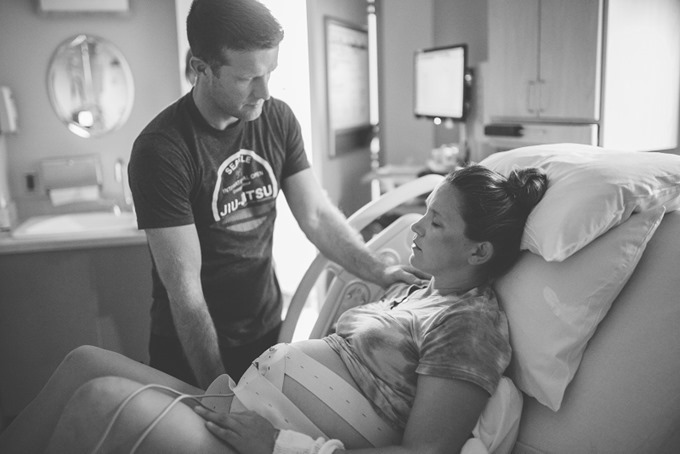 I said that I needed an epidural several times, and each time Casey would say, “let’s just get through five more contractions.” Everyone assured me that this was going to be over soon, but I truly felt like I could not take one more contraction. At the same time, they were coming so quickly that I didn’t have much time to plead my case in between. I asked to be checked again, and my midwife checked me right there in the shower. I was only at a measly SIX. My exasperation turned more to anger and I snapped that I was absolutely done and wanted an epidural immediately. Maggie said that we could do that but I’d have to get out of the shower and get on the bed. I said okay. I’m not sure I even answered the question, I just started crying with relief and pushed myself onto the bed – the finish line finally in sight. 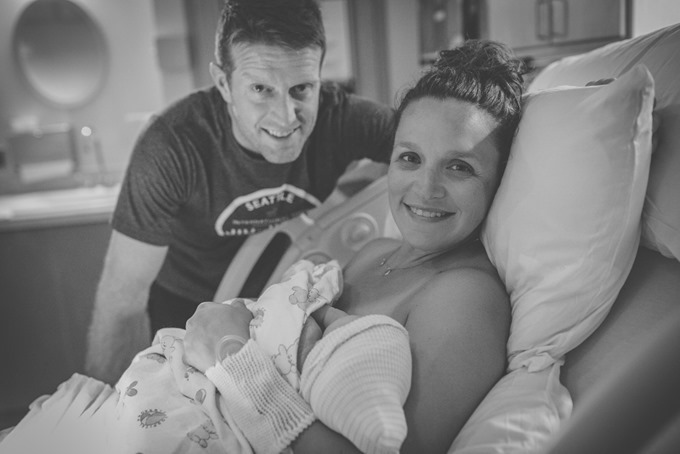 I knew from Graham’s birth how pushing should look and feel, and I also knew that there was no way I was pushing for 90 minutes like I did with him. I was absolutely hell bent on getting this baby out immediately. I had one contraction and pushed with everything I had left in my body. It felt right, and it felt like it was working. It also felt absolutely terrifying. I’m sure it comes as no surprise, but this pregnancy was really hard on me emotionally. It wasn’t an easy road, and there were a lot of bumps and worries along the way. The baby (and my belly both) measured small the whole time. She also had a soft marker on her 20-week ultrasound that we never told anyone about, but that I worried about the entire time. Not to mention my history of pregnancy loss and my older age this time around, it felt like there were so many small things that added up to a ton of anxiety and stress. And for as much as I wanted this journey and pregnancy to just be about her, it wasn’t. I found out I was pregnant in July 2016 – almost two years ago. I lost three babies between then and now, and the journey to meeting our baby girl really started back then. 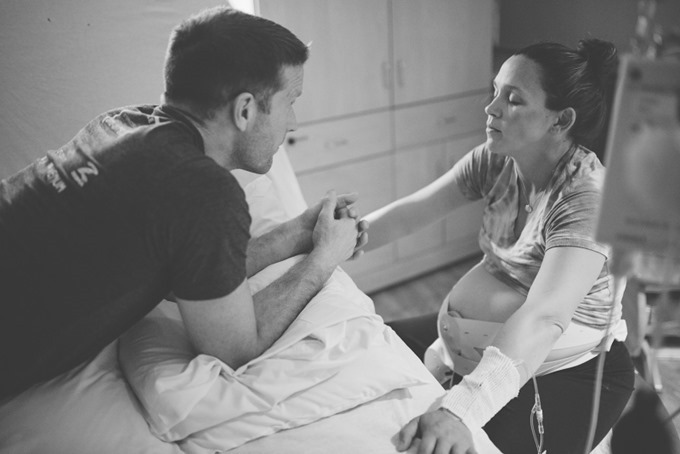 It felt like the longest pregnancy of all time, and I never honestly allowed myself to believe there would be a happy ending. I stressed and I worried and I prayed. I hesitantly bought one outfit and one swaddle blanket, and finally set up the nursery, all the while desperately trying to ignore the little voice saying, but what if…? And as I took a deep breath and got ready to push her out, it felt like I was finally going to get the answer to two long years of questions. And I hoped and I prayed that I was prepared for that answer either way. I had one more monster contraction and pushed with everything I had. The room was totally silent, but I felt her coming. I felt her head crowning and that unforgettable slippery little baby body passing through. It was truly the most intense moment of my life. 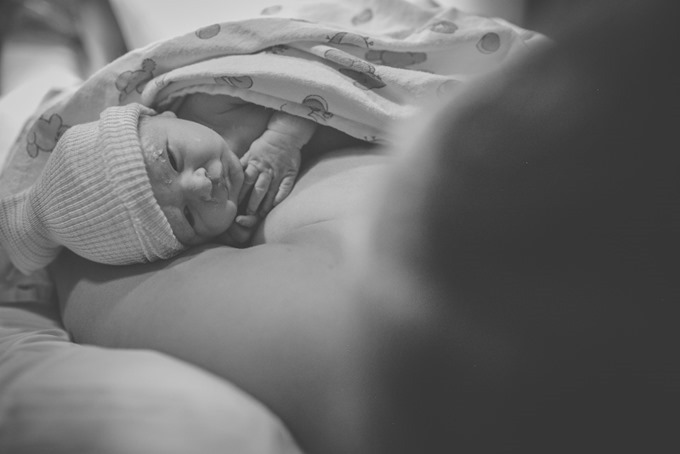 I felt the most unbelievable relief from the contractions and at 10:55pm, I looked down to see a tiny, beautiful little girl covered in white sticky goo being placed on my chest. That face right there was the moment I looked at her and got my answer. She was here, and she was perfect. She let out a fierce cry and we all took a sigh of relief. It felt so surreal to finally meet her. The midwife showed us her cord, which turned out to have a full knot in it. It sent chills down my spine. 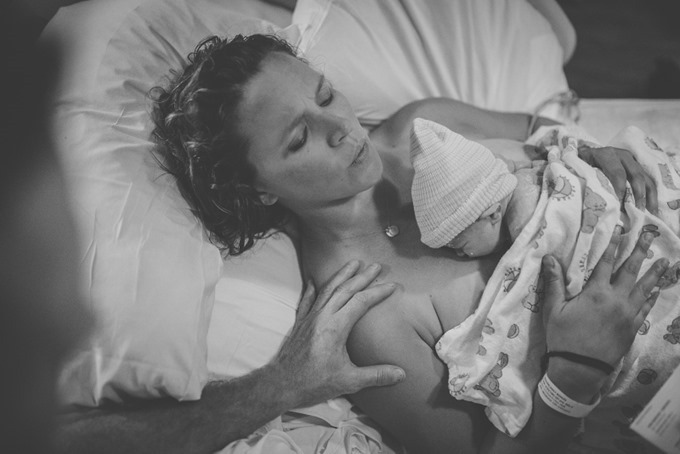 She couldn’t believe it hadn’t caused her distress or complications, and said that she was truly a miracle baby. 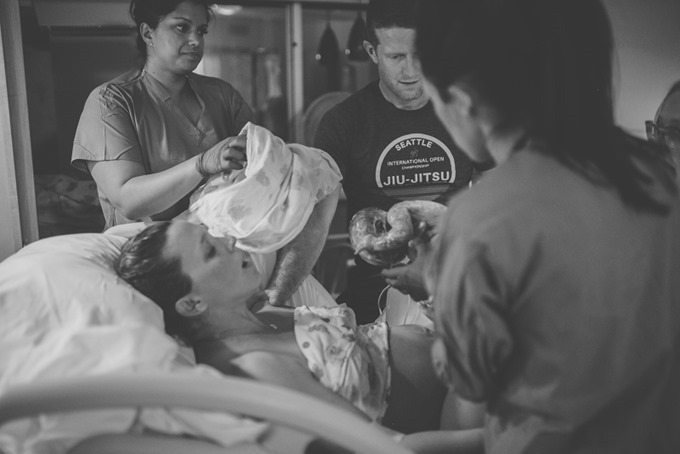 Even though our baby was here, I still had to deliver the placenta, and for some reason it wasn’t detaching. My contractions started coming regularly again, and they ended up actually increasing my Pitocin after the delivery in order to get the placenta to come out. It was horrible and painful and I had a really hard time focusing on the sweet baby in front of me with all the pain still happening below. I ended up having to push all over again, and the placenta finally came out with another giant wave of relief. 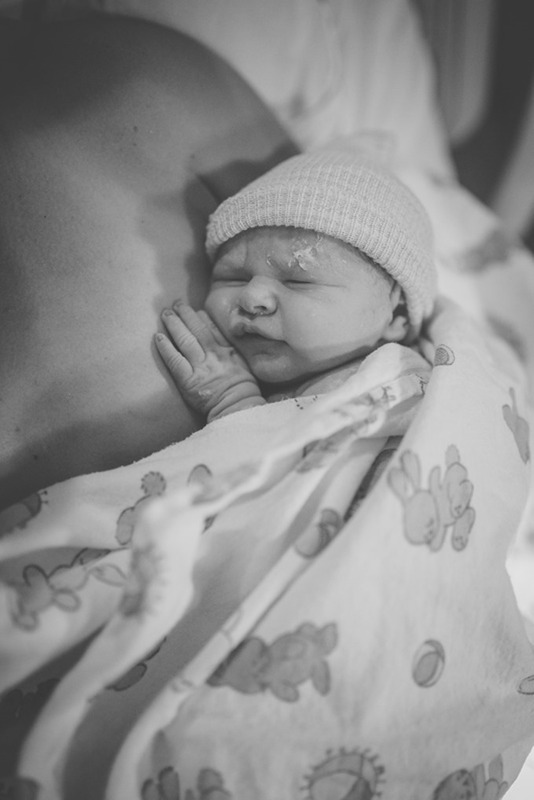 And while miss Maeve was my smallest baby by far – 6lbs, 13oz – she came out FISTS FIRST, true fighter style. She definitely did some damage on the way out, and left me with 10+ stitches. Didn’t feel good, but I forgive her. 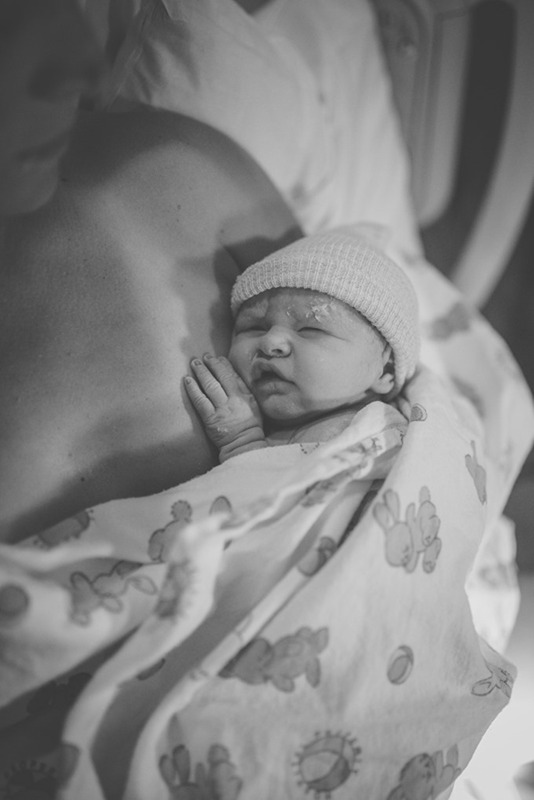 Once the after-delivery procedures were finally done, we could just relax and enjoy our sweet babe. We couldn’t get over how teeny tiny she was, especially compared to the boys. We texted our families back home (who were all sound asleep on the east coast!) and let them know that our baby girl was here, and everyone was safe and healthy. It was really fun to finally share the news with all our loved ones. I can’t reflect on this birth experience without talking about Casey. Obviously we’d done this twice before, and while he’s always been a great support, this third time was on a different level. He was everything I needed him to be. He was so loving and present and was truly the only reason I made it through a really difficult and emotional labor. I felt so unbelievably lucky to have him at my side. And I ended up being so glad that Kelsey was there as well – not just for the photos, but also for the support and the encouragement. Any reservations I’d had about feeling private or self-conscious were gone the minute she walked in. There was a moment right before I started pushing where I looked up and saw just how excited Kelsey and Casey were. There I was feeling like this was quite possibly the worst thing that had ever happened to me – just unbelievable pain and agony. And they were smiling and beaming with excitement – it was a well-timed reminder that this was actually a really wonderful experience, despite how much it hurt. And our sweet girl. There aren’t words for how loved she is. 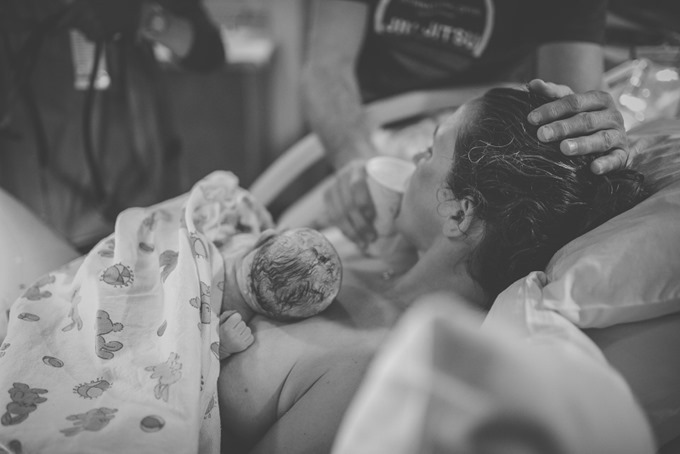 It felt sort of unbelievable to hold her in my arms and know that I’d made it through another pregnancy and another birth, and that it was finally time for the real journey to begin. 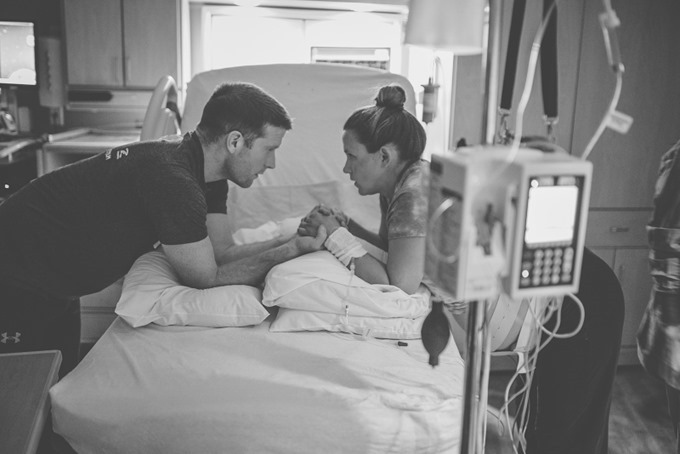 I have a lot more to share about the rest of our hospital stay, about the boys meeting their sister, about bringing her home – and more. 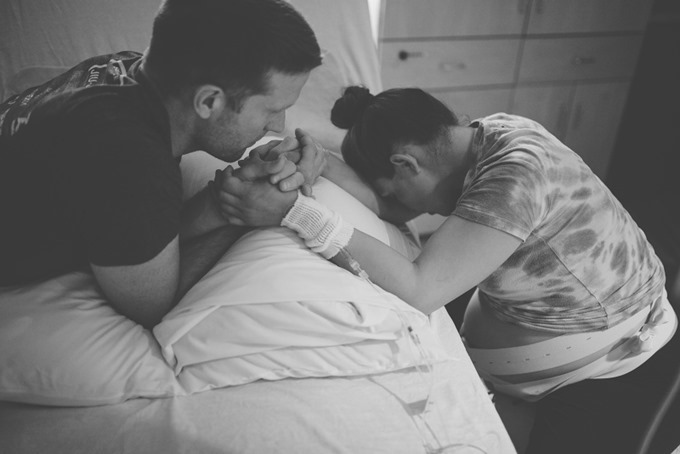 But I’ll save that for another post, and leave this one as just a story of a baby girl who was so loved and prayed for, and our path to finally holding her in our arms. Next Post » So Long, Summer. Any updates on 3 mos. old Ms Maeve and everyone? Yes, no updates since May! Dying to hear how everyone is doing and see her little face at 3 mos.! And, I don’t do Instagram, and it’s no longer available in your blog. Are you ever coming back??? Hope all is well with the family. Made me cry. 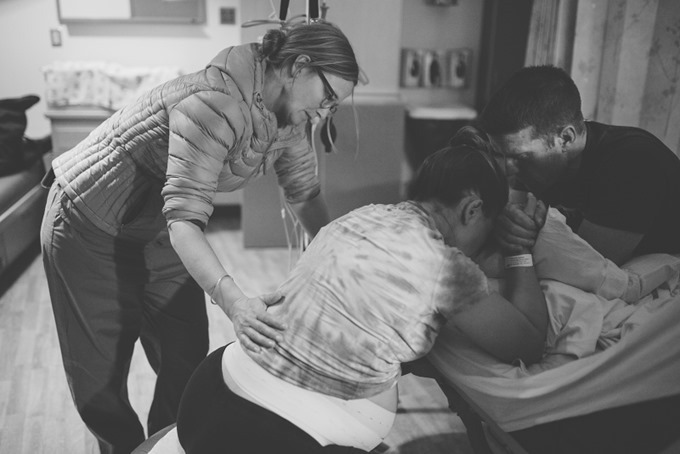 What a beautiful birthing story.